"A feisty coed joins a collegiate a cappella group and upgrades their song selection for the 21st century during the run-up to a major competition in this melodic comedy from Tony-nominated Avenue Q director Jason Moore. Drifting past the various cliques after arriving at college, Beca (Anna Kendrick) pays more attention to the jams pumping in her headphones than the people she passes on her way to class. But all that changes the moment she stumbles into the one place where every misfit has a voice -- the campus a cappella group. Although the competition amongst the singers proves surprisingly fierce, there's just one aspect of the group Beca can't wrap her head around: All of the songs they perform are at least a decade old. Convinced that they can do better by adding some contemporary tunes into the mix, Beca whips up an exciting new set list that will set the group apart and leave their rivals in the dust. Brittany Snow, Anna Camp, and Rebel Wilson co-star. ~ Jason Buchanan, Rovi"
Get Pitch Slapped with the hilarious comedy that will have you dancing in your seats and dying from laughter. The adds don't do justice to how funny and entertaining "Pitch Perfect" really is. Seeing the 10.10 in the morning advance screening of "Pitch Perfect" @ Hoyts with my friends was a great way to start the day. "Pitch Perfect" is an uplifting story about aspiring DJ, Beca who finds herself part of the Barden Bella's. The college's only female a cappella group, who last year failed to continue into the finals of the championship. This year determined to win, captain Aubrey recruits a bunch of misfits who have nothing in common other then the fact that they sound amazing together. That group eventually including Rebel Beca who believes they should ditch the old sounds and perform chart-topping tunes. But the journey to the top doesn't prove as easy with mixed opinions in the group and competition with their popular rivals "The Treble Makers". "Pitch Perfect" is a movie for everyone and was full of LOL's. Their were a lot of funny characters, but for me Aussie co-star "Rebel Wilson" who plays "Fat Amy" was my favourite. She was incredibly funny and added a lot of humour to the movie. Calling herself "Fat Amy" so twig girl's didn't behind her back. I want to watch it again. I can't really describe to you as to how much you need to see it. But just do, it's a must see for anyone who has a soul. Sorry for the short review, I guess some could say I'm a little lost for words. The Soundtrack is great, so is the storyline, actors and everything. It's now one of my favourite movies. Getting 5 Stars, because it was so good. PS. My family has successfully created a natural and effective head-lice treatment. It's called "Wynns over Lice". Wynn being my middle name and also like your winning over the lice. Cos I'm sure we have all experienced first hand how annoying head Lice (commonly known as Nits) can be. So please help us spread the word of this wonderful product that has worked wonders for us. Please watch these 2 video's starring my younger sisters and like it, re-blog and spread the word. We would be so appreciative as we are trying to get it well known in the market. Thanks, enjoy. Click here for Wynn's Over Lice Video- ITCHY? 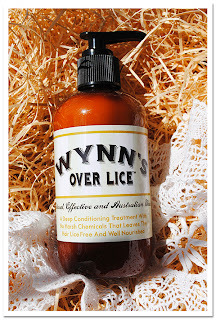 Click here for Wynn's Over Lice Video- STILL ITCHY? I am dying to watch this movie! I have watched the trailer like 100 times...weird I know! I love this movie! I watched it for over 10 times already and I just couldn't get enough of it! I so love those funny scenes and I laughed so hard. 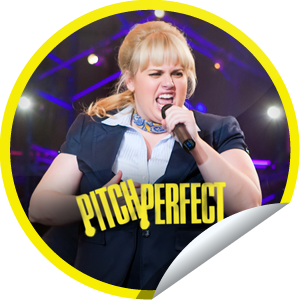 the pitch perfect songs are also great especially the cup song. Cheers!